Lake Texoma’s newest marina! Marina del Rey offers camping, boat ramp, fishing guides, gas dock, lodging, RV park, wet & dry storage, bar, and restaurant. Marina del Rey is a full service marina offering amenities to fit all your needs. Marina del Rey OK offers fun in the sun including annual events such as Memorial Day, 4th of July, Labor Day, guided fishing tournaments and much more. Enjoy the social life by joining others at the marina or hang out in style at our multiuse breakwater and bar. 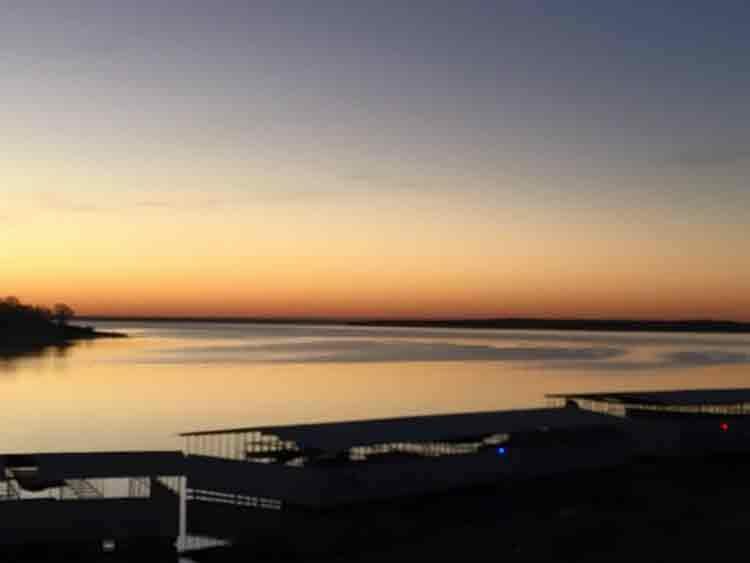 Bring your family and friends to Marina del Rey to enjoy beautiful Lake Texoma. After a long day of fishing or boating our accommodations are just what you need to unwind. Our future hotel will offer all the amenities of home plus much more. Current accommodations include cabin rentals with sleeping available for 2 to 6 and trailer rentals that sleep 6 – 8. Marina del Rey’s restaurant The Belly Flop offers a variety of All American food. The Belly Flop is the perfect place to sit down and eat with friends and family, or call ahead and take it to go! Closed for the winter season Nov 1st thru February. 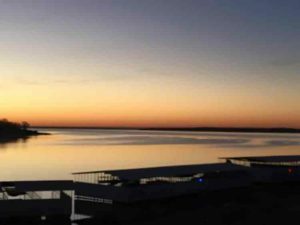 Lake Texoma’s newest bar, Barbay offers a full service bar, spectacular lakeside views, live music, food trucks, and more. Enjoy yourself at Marina del Rey’s Barbay and listen to both national and local artists every Friday and Saturday night. If you are looking to dance the night away or to just sit back and relax, Barbay has what you are looking for. We offer boat rentals (Tritoon with 150 HP motor) as well as sales at Marina del Rey. Personal Watercraft rentals by the hour, day or weekend.